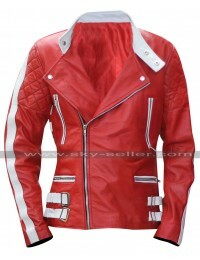 This leather jacket is a slender and rangy piece for the debonair girls who want to have the fascinating look. This biker jacket is not lagging in any aspect. 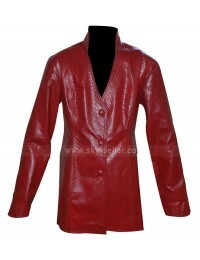 The intricate stitching of the jacket is visible to make it look like a real leather product. 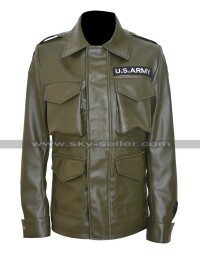 Jacket has the large lapel collars which have been overlapped on each other with asymmetric zipper at front for closure. Classic Green jacket has the waist belt with two side buttoned pockets.